Lombok Island is now beginning to manifest itself in the world of tourism. Even the International level already. Besides, due to its location adjacent to the island of Bali and Komodo island, the island of Lombok presenting its unspoilt natural beauty. 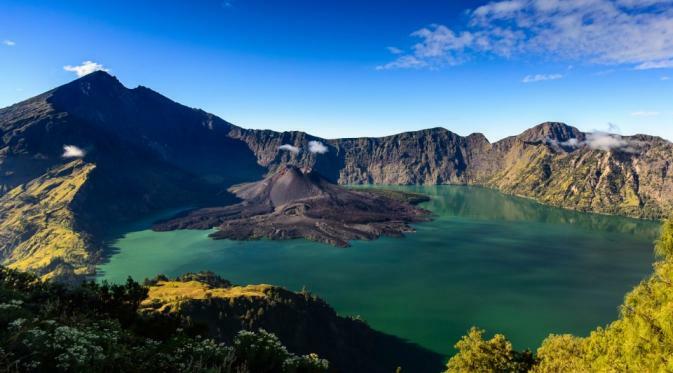 Mount Rinjani Lombok island has the highest mountain to three in Indonesia with an altitude reaching 3,726 meters above sea level. Lombok island itself has an area of 5,435 km which is divided into four districts and one city. 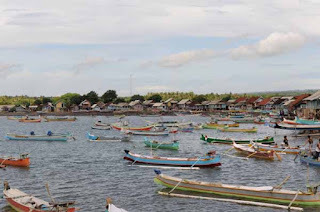 The city of Mataram, Lombok district east, west Lombok regency, district of central Lombok and Lombok district north. Each county and city in Lombok has many beautiful tourist destinations. As a tourist destination in East Lombok regency which we will consider and we are clearly detailed below. 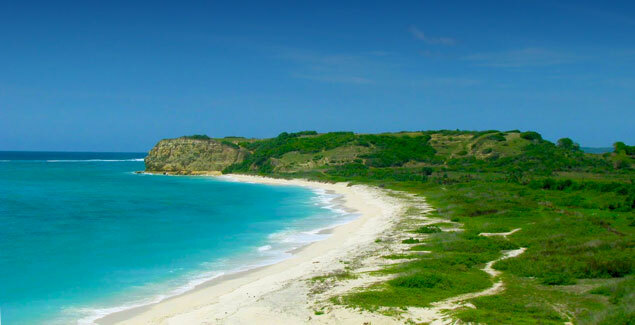 Kaliantan beach located in the village Pemongkong Jerowaru districts east Lombok regency. The beach is still a virgin and is rarely visited by people. Silence creates its own nuances for your holiday. Clean blue sea water and white sand and clean also make the beach more exotic. Long coastlines up to two kilometers presents the beauty of its own. Moreover, not charged to explore this coast. To visit this beach, you should use private vehicles or rental because there is no public transportation to the beach area Kaliantan. Do not forget to bring an umbrella because there is rarely a tree to avoid scorching during the day. You can do snorkeling during the day because the sea water is getting quiet if noon. Bloam cape coast has an unusual beauty. In addition to the white sand and blue sea, cape Bloam have land that juts into the sea with such towering moss-covered stone like roofs exotic. Underneath you can enjoy above sea-rock smell very clean.There are also high cliffs that are not less interesting to be explored is definitely incredible scenic views. The scenery in this Bloam bath cape three-dimensional paintings are very beautiful.If you visit the island of Lombok, do not forget to visit Cape Bloam yes. Guaranteed not to lose the beauty that is obtained. Gili sunut is a small coral island which is connected with the sand on the island of Lombok. 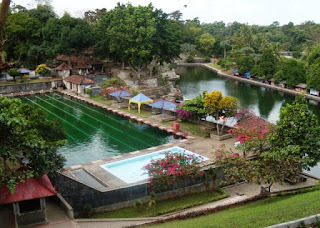 Gili sunut is inhabited by about 109 families. The place is very beautiful with a wide expanse of sand at the edge of the beach lang. Marine has a unique gradation very beautiful. Moreover, its clarity makes the underwater corals seem obvious even without snorkeling.You can also bask in the sun in hot weather to darken the skin.In addition, the charm of coral around the dyke is very charming, so you should make sure not to miss the beautiful panorama and the slightest moment. To come here, you have to rent a car or motorcycle because there is no public transport to get to here. 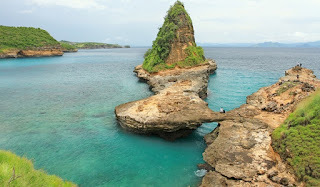 TanjungJerowaruringgitin the district,EastLombok.Tanjungringgitisa cape thatresembles acrocodile's head.Beside itthere isan inch ofbeachthat you can enjoy. The place isrelatively quietandstill very natural.Youcanenjoythe beauty of theheadlandringgittosit back and relaxon the hillcliff,under a tree. This wayyoucanclearly see theshades of green,dark green,blue,and dark blue.That wayyoucanenjoy thesea breezedistinctive smell.On theringgit'scape,you will also findgunsDutchheritagewhichstill firmlyfacing theseatoadd toyourcollection ofcool photo. In addition,there isa cavethat you can visit.The location isquite hiddencaveso youhave to askifyoufindtheoriginal.The road leadingto theheadlandringgitis still quiet,so itmust be reached bycarorprivate vehicle.certainly,youmustcompletesupplies. 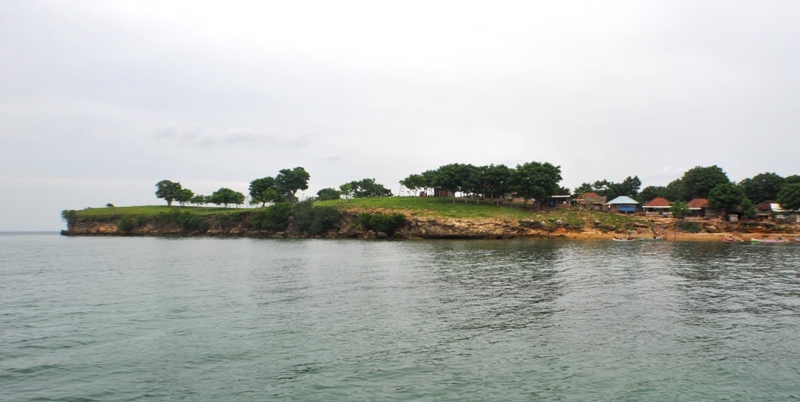 Tanjung silver and china cape is two adjoining headlands. This headland has a beach underneath a short, Gravel, and choppy great. Nevertheless, the beach is no less beautiful with a natural feel. It is suitable for those who like photography. Both are located in the district cape Jerowaru, eastern Lombok district. Ekas beach in the village Pemongkong Jerowaru districts, eastern Lombok regency. Panai Ekas including fishing village that presents a view of the boats stranded. (Fishing boat means). The beach is located in the bay area so the waves calm. White sand is very spacious so suited to playing in the sand. The water is crystal clear and calm wave is also suitable for those who are still learning to swim. Here there are also many fish cages on the high seas so that presents a panorama of the fishing village that is still traditional. East Lombok now presents the valley, no longer a beach and dyke. This green valley is located in the village of Labuhan Haji Ijobalit districts. Named Green valley because many trees were green plus the pools were beautiful and various flowers. This green valley is tastefully furnished to pamper visitors with a comfortable shade nuances. Neatly lined with trees and flowers were also laid out. Not too hot makes Green valley fitting place to unwind after a blistering playing on the beach. Green Valley is very suitable for family travel fun and rollicking. Moreover, the gazebos are provided for visitors who enjoy this area. Entrance tickets are very affordable at 5,000 rupiah per person. In this valley, in addition there is also an artificial lake that you can enjoy with your family, lover, or kongkow with friends. Sembalun is a tourist districts located in East Lombok which has an area of 217.18 km². 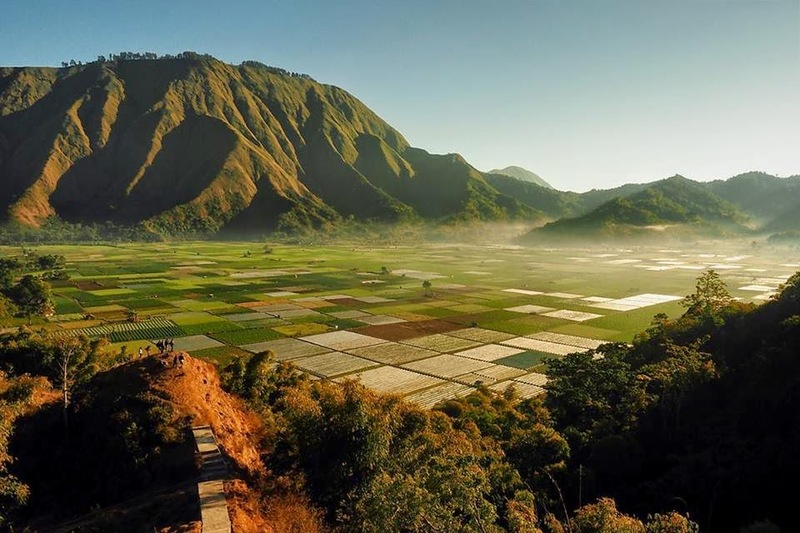 Sembalun consisting of several villages that offer scenic beauty of villages are still traditional. By presenting plots convulsions neatly lined up as well as irrigation systems such as Indonesia in the past. Sembalun located at the foot of Mount Rinjani so that the air is still very clean and freshen the air is cold you. 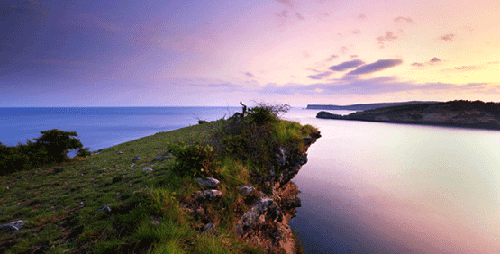 In addition to the green scenery for the fields and mountains, this village is surrounded by magnificent cliffs. So that makes the scenery more beautiful Sembalun. Sembalun has an important role as an entrance mountaineering rinjani making it suitable for a haven climbers. The villages in Sembalun also the beauty of the shades of night when enjoyed in ascent with neon lights are lit. Besides, when the fog drops, Sembalun really very present a different beauty. Mount Rinjani Mount Rinjani Who does not know, the highest volcano in Indonesia number three is the scene of many climbers to realize his hobby. One entrance of Mount Rinjani is through East Lombok. This mountain so that incoming tourist attractions in East Lombok were amazing. This mountain has an altitude of 3726 m above sea level which adds to the beauty of the island of Lombok. You can enjoy the world above the clouds at the top that creates a remarkable experience for you. 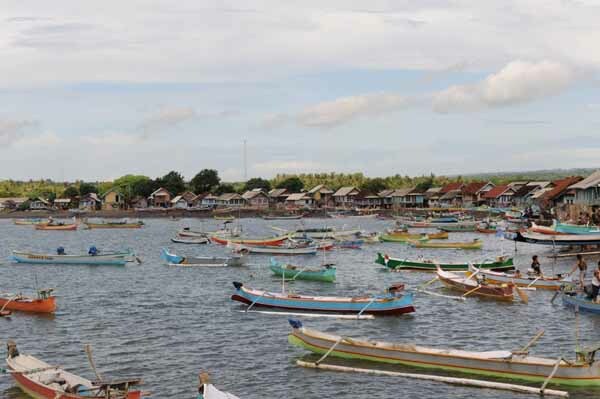 Tanjung LuarDesa fishing village is located in the district Keruak, East Lombok. For those of you who like photography, you better visit this village early in the morning so that it can take a few shots at the fish market. All types of fish and sea animals is sold freely. You also have to come here to buy souvenirs.